Multiple sclerosis (MS) is an immune disease of the brain and spinal cord. It is the most common cause of neurological disability in young adults. MS can present in a variety of ways and has a variable disease course. Dr Silber set up the Regional MS Service based at Kings College Hospital as well as a satellite service at the Queen Elizabeth Hospital. This service is involved in the diagnosis and management of people with MS, including provision of specialist opinions in complex cases and assessment for disease modifying therapies. 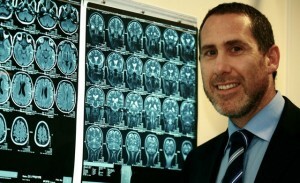 His clinical and research interests include extending care for people with MS. This includes a model service for mental health problems (short listed Guardian Public service awards 2007), palliative care for people with advanced MS and MS in ethnic minorities. He continues to conduct research and publish on aspects of MS. He has established one of the most successful clinical trial groups at Kings College Hospital. He has been a lead investigator in many of the trials of novel therapeutic agents for people with MS, including monoclonal antibodies and oral therapies. In recognition of his contribution, he was awarded the MS society’s annual Richard Cave award in 2006.